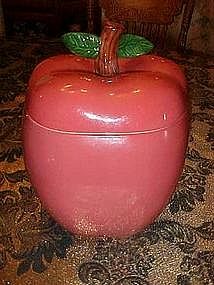 A big red delicious apple cookie jar measures almost 10" tall. Perfect condition. Made of hand painted glazed ceramic. No makers mark. A great cookie jar!